This Extreme Basketball Game lets your guests feel like they are in the NBA! 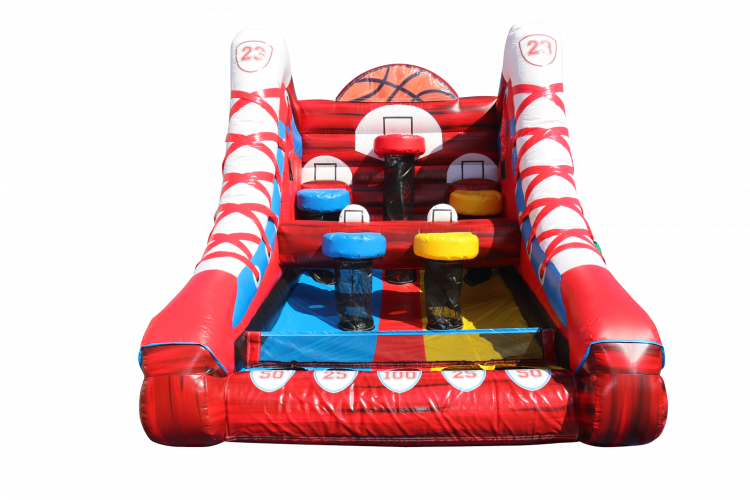 The sneaker-shaped design and vibrant colours will make this unit the perfect attraction for your fun-filled event. With five separate hoops, combined with a challenging scoring system, you and your guests will be entertained for hours!